Tales from the Real OC (Really! ): Singapore/Australia FATED Tour Dates! 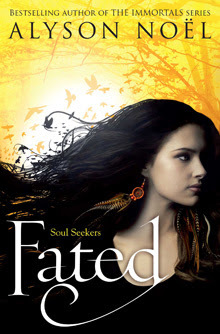 I'm so excited to announce that I'll be visiting Singapore/Australia this June to promote the release of FATED! Hope to see YOU at one of the following stops! Please look for additional information coming soon! And don’t forget you can keep up with all my latest tour details as they’re announced on my website HERE and my iPhone app, which you can download for free HERE. Thanks, as always, for all your kind words and support! Aw, thanks so much, Charissa! I'm so thrilled you enjoyed NIGHT STAR and I hope you like FATED too! As far as a paperback version goes, that's a decision that's up to my publisher--but I'll be sure to announce if it happens! Hi Alyson! Absolutely LOVE your books and glad you're having a book tour on this side of the world :D Just wondering: are the tour date(s) in Singapore confirmed? (because I just want to know if I'll be here for it :S) Thank you so much! iLuvReadingTooMuch - Thanks so much for stopping by--I love Singapore! The Singapore dates currently on my schedule are all interviews / TV appearances, but I'll be sure to announce if anything changes! Zazamania - I love Paris--it's one of my favorite cities! Look for additional details on a European Tour (October 10-November 2) coming soon!